SUMMARY: While marketers in attendance at MarketingSherpa’s 8th Email Summit may or may not have struck gold at the slot machines, a rich vein of email knowledge was tapped in each of the 25 sessions. After mining the best of our notes and resources, we have put together the top five takeaways from this year's event at the Paris Hotel and Casino in Las Vegas. Email marketing and Las Vegas may have the annual MarketingSherpa Email Summit in common, but they differ in one major area — gambling. After participating in 25 sessions with 750 other marketers, it's clearer than ever email is far more than just crossing your fingers and tossing a send into the cyber-sphere with a wish and a prayer. Email marketing is a discipline where, if you have all the right practices in place — these five takeaways for example — all the decks are stacked in your favor. The following MarketingSherpa article shares five of the juiciest takeaways from four days of marketing lessons learned at the Paris Hotel and Casino in Las Vegas at MarketingSherpa Email Summit 2013. No surprise to hear at an Email Summit that email remains an extremely relevant channel — the real surprise was the metaphor keynote speaker Jay Baer, President, Convince & Convert, used in his session titled,"More Alike Than Different: Why Email is Madonna, and Facebook is Lady Gaga." "We've heard … social media is going to kill email. But, you do not need to panic, because email is not going anywhere. Ever. Fifty-eight percent of adult Americans check email first thing in the morning, according to ExactTarget. We vote with our thumbs, and 58% of Americans put email first," he opened. Also from ExactTarget, Baer cited 77% of people surveyed reported preferring email for promotional messages. Ultimately, Baer said email and social media have an important part to play in the conversation between company and consumer. They are strategically, operationally and tactically aligned — or if they aren't, they should be. According to Baer, "Email is the conversations that are urgent and important. Social media are the conversations that are less urgent and less important, they still have a place," he said. Email, he said, is like Madonna — the original, but now somewhat tired and downtrodden. Lady Gaga is Facebook, "the exact same thing with a fresh coat of paint." Anytime that you send an email, or a Facebook update, or "a tweet or anything else," the chances that any customer will see that one piece of communication is relatively slim. So because of this, email and social media need to work together in order to improve those odds when sending a communication. "Surround your customers with options to interact with your brand, and the chances that you will be able to interact with them at all go up considerably," Baer said. Have an email opt-in Facebook tab — Baer said this was "the first thing you should do when you get back to the office." Pay attention to when most consumers are interacting with Facebook: "You can think, 'I wonder if we should consider testing emails in that window.'" Try email images with high clickthrough rate in Facebook posts, and vice-versa. Deploy Facebook content in emails. Baer gave the example of Crocs showing items that were most popular on Facebook, Twitter and Pinterest in one of its sends. Mine social chatter for email topics. "You know what would be amazing — what if we could eavesdrop on our customers? Now we can, it’s called social media," he said. "Either you win, or they win," Baer concluded, if email and social media marketers stay separated. "Silos in your companies are for suckers." Joel Book, Principle, ExactTarget, spoke about Hitachi Data Systems in his industry perspective session, as an example of how the two mediums can work together. The company featured prominent tabs encouraging subscribers or visitors to the main website to "Forward to a friend" or "Share" information via their social networks. By encouraging subscribers to share with their social networks, you are turning them into brand advocates and consequently, your strongest marketers. Citing Zuberance, Book said that 61% consider buying a product recommended by a brand advocate, and 22% actually do. He also displayed how Dreamfields Pasta used its Facebook page to convert fans into email subscribers. Its page features a "Sign up for our eNewsletter" tab where fans can easily sign up without leaving Facebook. Social media, Book pointed out concurrently with Baer, increases brand awareness and fuels conversation, and marketers need a plan to convert fans and followers into email subscribers. Segmenting is an adaptable strategy, and when surrounded by data and backed by technology, an easy process, according to Brad Schleif, Manager of Online Strategy and Optimization, Carlson Rezidor Hotel Group. Simply put, more segmenting equals more relevance, translating into more revenue. Getting executive buy-in: "You have to get permission to make mistakes," Schleif said. Winning Best-in-Show for the 2013 Email Awards, Christine Hua, Manager of Fan-Centric Marketing, NFL.com, presented its newsletter success, which began with the objective to be as relevant and targeted as possible by segmenting by a fan's chosen team. The newsletters feature real-time site content specifically tailored to the subscribers' team preference, and remind them of upcoming games. By maintaining user team preference, the team added in additional newsletter branding such as NFL.com photos, expert articles and videos. NFL.com then further segmented the recipient database, and emails were broken down by user activity and longevity. Over the course of 2012, NFL.com was able to achieve a 121% higher open rate and 26% more clickthroughs with a strategy of segmentation and personalization. 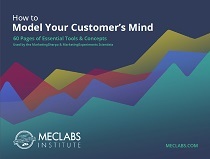 As Flint McGlaughlin, Managing Director, MECLABS, said in his Live Optimization session, "Look at your emails and ask, is there any communication with the customer, or am I just interrupting their day?" Diving into this exact issue in his session, Matt Bailey, President, SiteLogic, said the main obstacle to providing recent and relevant content is the analytics involved. "You open up the dashboard and immediately, you start drowning in a sea of irrelevant numbers," he said, adding while those numbers may look pretty, they are not all important. Not relying on a "one size fits all" analytics process is the first step to providing the best relevancy to your customers. Many marketers get locked into the same analytics process every month. "People find safety in an irrelevant number that no longer means anything," Bailey said. "Thinking like that will transform your company," he said. Visitors expect you to know the answers to those three questions in the form of what kind of products and offers they like, he added. Untimely, impersonal and irrelevant sends will get companies nowhere but deleted, with subscribers thinking, "You don't know who I am, you don’t know what I'm looking for, and you don't know what my most pressing interest is," he said. To have a conversation with consumers, a company must "understand what the conversation is all about," which is where relevance in email content is key. Michael Aagaard, Copywriter, ContentVerve, spoke about how the very delicate tipping point between bounce and conversion, and the call-to-action copy is critical in leaning the scales in marketer’s favor. The more value and relevance that copy conveys, the more clicks it will receive. When composing a call-to-action, he said, focus on what the prospect gets by clicking the call-to-action, rather than what the prospect has to part with. Aagaard used the example of "Buy Membership" being negative, because it focuses on losing money, where "Get Your Membership" adds value and the copy "Find Gym & Get Membership" adds needed relevance. Diagnose your call-to-action — create a hypothesis about what is wrong. Use optimization principles to come up with possible treatments. Assess whether copy changes, design changes or both will have the greatest impact. Conduct a simple A/B split test. Track the final conversion goal, e.g., sometimes clickthrough goes up, but sign-ups go down. Purging subscribers is a heroic endeavor for marketers, and to make it work over time, "we need to make sure that our systems, they're scalable, they're repeatable," Diana Primeau, Member Services, CNET, said. She listed out the approach CNET takes as first segmenting the list for testing, and then testing email subject lines and messaging. At that point, CNET sends out a win-back sweepstakes email to try to reclaim some inactive subscribers, and finally, a "last chance" list cleanse email before removing those who don't re-engage. "A lot of companies like the big numbers," Primeau said about the challenges with list cleansing. However, the mindset CNET has taken is that, "We're not tied to the numbers, we're tied to how much engagement we drive back to the site." For the win-back campaign, CNET used self-segmentation through subscription preference and behavioral segmentation based on activity or inactivity. Sent two weeks apart, the first "sweepstakes" win-back email was sent to those who had been inactive for 120 days, and the second "last chance" list cleansing email was sent out to those who had been inactive for over 180 days. Clarity is key with effective subject lines, and any deception in the subject line about the email's content will only serve to alienate subscribers, Primeau said. The objective for CNET’s win-back and list cleansing campaign, according to Primeau, was to provide the user with something relevant and interesting in order to give them a reason to stay. The first subject line read, "We miss you — please come back," and "Is this goodbye? CNET will miss you" was the second subject line. The content of the emails focused on an event CNET subscribers would find highly relevant, tickets to the 2012 International CES and airfare. CNET was able to re-engage 8.33% of its user base, and Primeau emphasized marketers have to be committed to the cleanse, and there must be follow-through if inactive subscribers don't re-engage. According to Matt Byrd, Email Marketing Manager, WeddingWire, inboxes are becoming more sophisticated, and marketers need to keep up in order to maintain a good reputation and avoid significant deliverability issues. He gave a personal example of when he was horrified to see that 23% of one of his sends had soft bounced. Byrd checked list acquisition methods and read through feedback loop messages to determine the profile of users that were most likely to complain. He discovered these users had been inactive for a long period of time before they complained, and to correct his bounce rate, he took action by removing those names from his list and implemented consistent list hygiene. Byrd said at first, the CMO of WeddingWire was not on board with list hygiene, so he laid out what exactly it would mean for its list. Remove only those who were highly unlikely to take action. Spend less money by sending less email. Prevent large blocks by email services again in the future. Maintain a high-quality list for our advertisers and us. According to Byrd, not only did the open and click rate not drop at all, they were either maintained or increased. Another important result was the spam complaints went down 76%. Looking forward, ongoing list hygiene necessities will be keeping subscribers engaged and active, as well as targeting key milestones in a subscriber's timeline to keep them active and acquiring new subscribers through cross-channel initiatives. In a session led by Loren McDonald, Vice President of Industry Relations, Silverpop, he opened with a simple question: Would you like to know when people are ready to buy? There is a definitive, decisive moment when a prospect is ready to buy, and it is the marketer's job is to act at that moment by taking a personal marketing approach where each customer is individually recognized by their behavior. Behavior is your guide, he continued, and adding all the clues up should lead you to humanize your sends and make intelligent decisions about what conversation to have with your consumers. Demographics combined with preferences and behaviors, he added, will provide a more accurate picture of your consumer. McDonald gave himself as an example — a married male from California, who regularly purchases shirts suddenly buys a dress. With only behavioral data to go off of, the conclusion is he is either female or a cross dresser. However, if that is peppered with demographics and preference, the likely conclusion is that the dress was purchased as a gift. Stop using your CRM to be a "glorified auto-responder"
Behavioral marketing is about letting what your customers and prospects do dictate your own actions, according to Jermaine Griggs, Founder, HearandPlay.com. Using behavioral data in a dynamic follow-up system instead of a static one is as simple as Newton's Third Law of Motion: For every action, there is an equal and opposite reaction. Marketers need to react to customer action as naturally as that. Behavioral marketing based on recency (last purchase made) and frequency will allow marketers to segment serious prospects from the rest, allocate more marketing dollars to prospects and clients with higher scores, and reach the right prospect with the right message at the right time. Griggs concluded by encouraging marketers not to be afraid to be personal, and even adopt a friendly, conversational tone along with this behavioral strategy. For weekly email marketing case studies and how-to articles delivered straight to your inbox, sign up for the free MarketingSherpa Email Marketing Newsletter.